IWCO Direct is Forest Stewardship Council® (FSC®) Chain-of-Custody certified by NEPCon. The FSC is a nongovernmental, nonprofit organization that promotes the responsible management of the world’s forests, and NEPCon is an international, nonprofit organization that works for sustainable land use and climate-friendly solutions around the world. Together, they help ensure forest operations meet comprehensive standards that protect the environment and the rights and welfare of workers, their families, and communities. 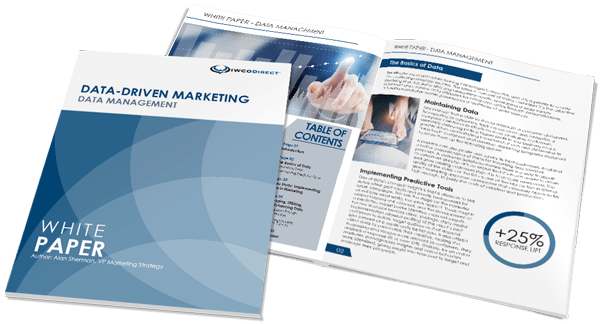 Our end-to-end direct mail services platform delivers all the components of a successful direct mail campaign. But it also works to reduce common forms of waste and improve production processes. Our freight and logistics partner, King Solutions, has earned SmartWay Transport Partnership certification from the Environmental Protection Agency (EPA) for their commitment to reducing fuel use and transportation-related emissions. In fact, they were selected by the EPA as a 2018 SmartWay High Performer, joining the fewer than 5% of all SmartWay logistics service providers who meet the selection criteria set by the EPA for this designation. Our focus on sustainability, combined with our Lean manufacturing principles, drives efficiency, reduces our carbon footprint, and reduces material use and transportation—all of which make our customers (and Mother Earth) happier.